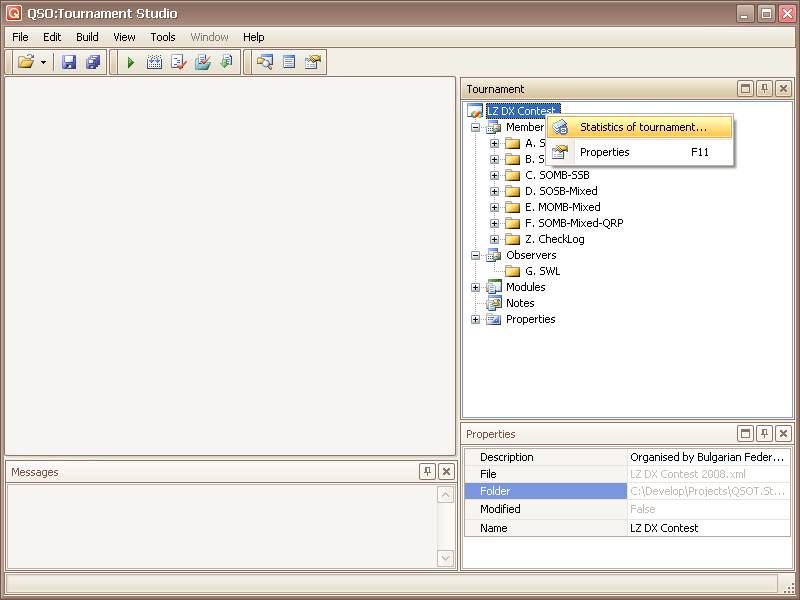 Click the right button of the mouse in a tournament root node. There will be a contextual menu in which it is necessary to choose "Statistics of tournament...". 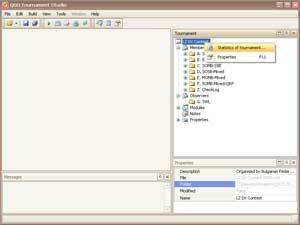 Similar action can be executed from the contextual menu of a folder ("Statistics of folder..."). 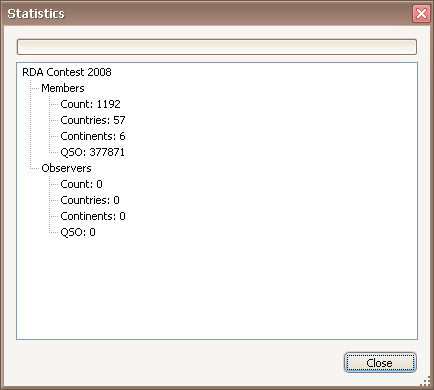 Statistics calculation can occupy some time for competitions to a considerable quantity of participants.